HARARE – The separation of the Grain Marketing Board (GMB) strategic grain reserve and commercial activities, which was announced four years ago, should be done before the beginning of 2019, Parliament has been told. 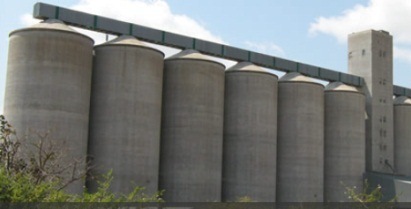 Tafadzwa Musarara, the Grain Millers’ Association of Zimbabwe (GMAZ) chairperson, told members of the Parliamentary Portfolio Committee on Industry that the stalled unbundling was affecting GMB’s operations. “Regrettably, this matter has been on cards for more than four years without execution done. We plead that the separation be concluded by no later than December 31, 2018,”he said. In the 2019 budget statement, Treasury said government seeks to restructure the GMB and separate accounts between strategic grain reserve and commercial activities, while safeguarding food security and price stability. The strategic grain reserve is stocks of grain held in reserve intentionally by government programmes for the purpose of meeting future domestic and international needs. GMB posted a loss of $208,9 million in the 2016/17 season after government ordered it to buy maize from farmers at $390 and resell at $240 per tonne. From September, farmers had delivered more than one million tonnes of maize to the strategic grain reserves at GMB. The deliveries are expected to match last season’s deliveries of around 1,2 million tonnes as the country consolidates its push towards food sufficiency. GMB managing director Rockie Mutenha said deliveries are continuing at an average rate of 75 000 tonnes per week. Maize costs $150 per tonne at GMB and is sold to identified stock feeders. due to a mid-season drought. GMB is known for failing to pay farmers timeously for grain delivered to its depots.